Chances are you know the statistics about our seafood consumption—it’s pretty poor. Seafood really is quite good for you and that’s the main reason we should be eating more of it. It’s a lean protein, it’s usually fairly low in calories, and, when you choose an oiler, fattier variety, it delivers health-promoting omega-3s. “Seafood offers a lot of quality nutrition—it’s a great source of protein, zinc, selenium, and other vitamins and minerals. It’s also low in saturated fat so it’s heart healthy! Capitalize on the healthfulness of it and swap it out for other animal proteins twice a week,” says Chris Mohr, PhD, RD, of MohrResults.com. But most of us don’t instinctively turn to seafood for dinner (ahem, the phrase is, after all, “Beef. It’s what’s for dinner.”) because we’re too intimidated to cook it. A fish fillet isn’t as forgiving to an honest cooking mistake as a piece of chicken or some beef. And if that fish stinks up the house, well then you’ve completely lost at getting the family to gather around the table. We have a solution for you, though: frozen fish dinners! There are some downright delicious options in the freezer aisle of your grocery store these days, and they take a lot of the guesswork out of cooking that fish just right. So, let’s go—up your seafood eating and aim for that recommended two servings a week! These rice, pasta, and noodle bowl meals transform raw, frozen (sustainably sourced) shrimp into a super-succulent protein after only a few minutes in the microwave. 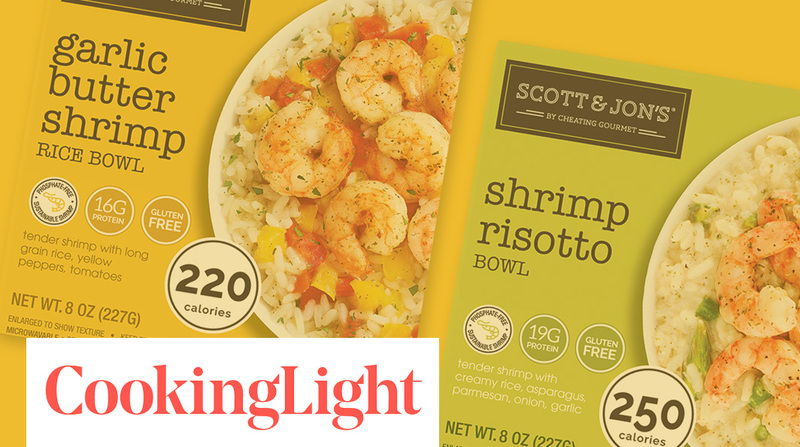 The bowls are calorie-conscious, clocking in right around 300 calories, yet quite filling and hover around 600mg of sodium for the entire meal (as does Lean Cuisine). High on our list was the Garlic Butter Shrimp Rice flavor.